ULTRAMAN X Coming To The Big Screen! Check The First Trailer Now! 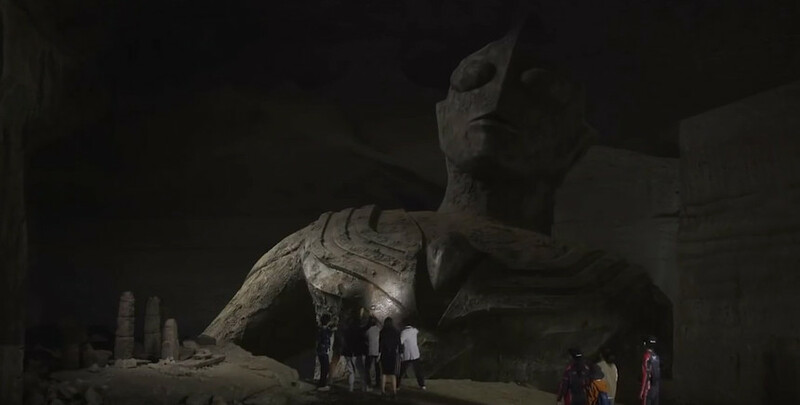 Long running Japanese hero franchise Ultraman hit the small screen in Japan this past summer with its whopping 27th distinct series Ultraman X and if what you like is out space heroes battling giant monsters then this is the TV series for you. And if you, like me, feel that the bigger your space heroes and giant monsters are the better then, hey! Lookie! Ultraman X is coming to the big screen in a movie incarnation! Does anybody actually need a synopsis beyond that for a new Ultraman film? No? Good. The trailer is down below. Well, that's not even pretending to have anything close to state of the art production values. Kind of charming in its old-school children's entertainment kind of way. Wait a minute...I thought the new Ultraman movie was going to be all cgi with some suitmation mixed in based off of the Ultraman trailer that Tsuburaya Productions did over the summer? I'm very disappointed in this.